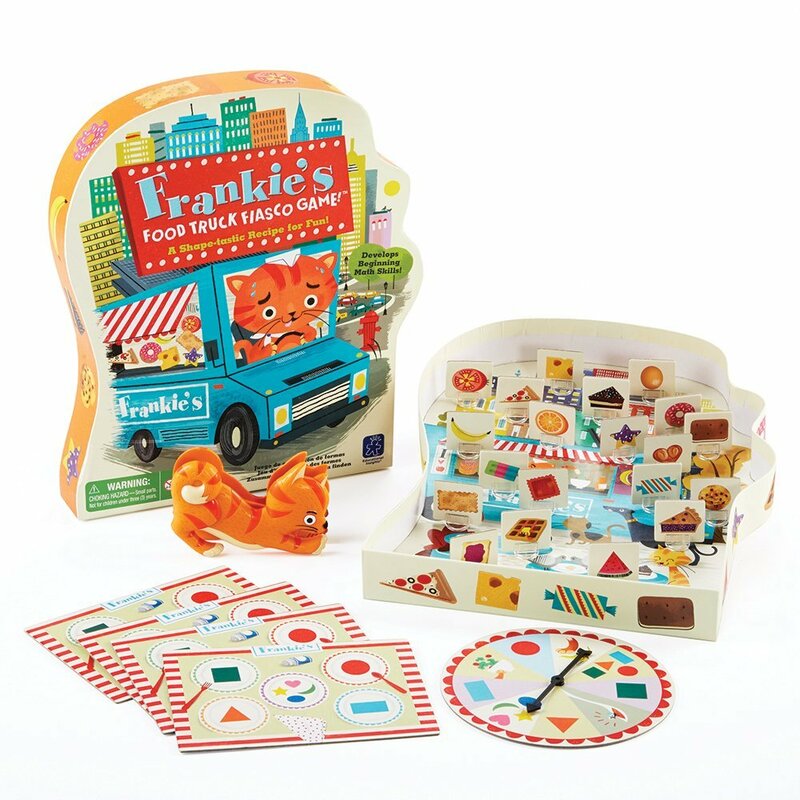 - Use the Frankie Squeezer to squeeze and place the pieces of your 5-course meal first, and you win in this fun, foody game! 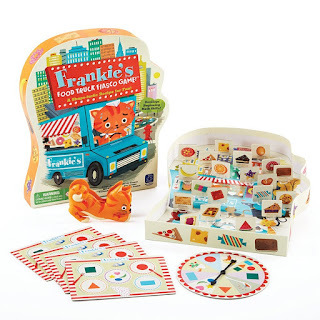 - Spin the spinner to place an order and use the Frankie Squeezer to pick up matching food. 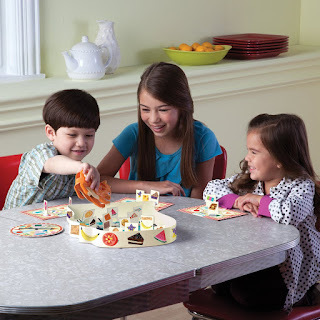 Fill your 5-course placemat first, and you win! - If you're lucky, you'll roll a "chef's surprise," but watch out for pesky flies and greedy guests - they'll slow you down! 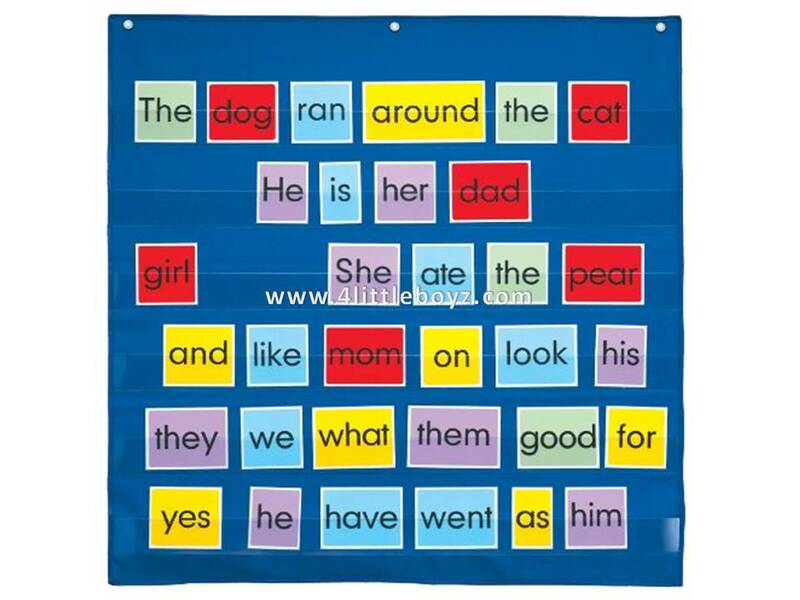 - Helps children learn to identify geometric shapes - a beginning math skill - and develops fine motor and pre-handwriting skills! 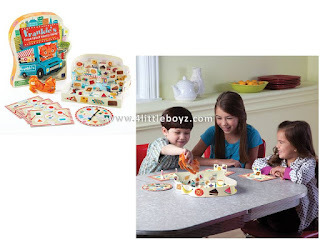 - Includes colorful game board (inside box lid), 1 Frankie Squeezer, 20 food game pieces, 4 placemat player boards, game spinner, and guide.